Loads are carried by women in India, whether they live in rural India or urban India. 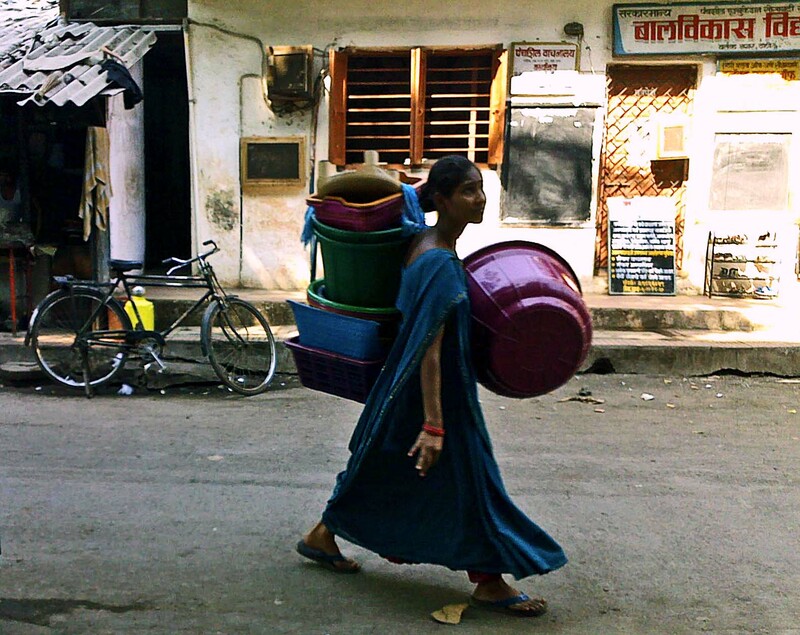 These are a few photographs of women carrying loads of different kinds in Urban India. Baskets and buckets to stones and sticks. 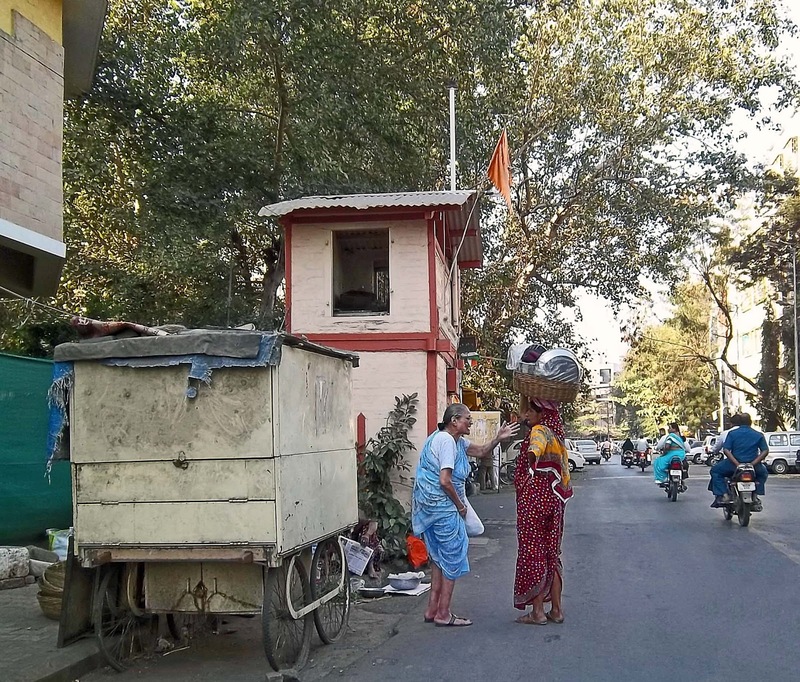 In this photograph I spotted two women arguing about something in Pune city. An elderly woman who is probably a customer and a woman who is a bhandiwali. Women who sell utensils and often exhange them for old clothes. This young woman was walking with buckets for sale, in Thane, India. The buckets were somehow hanging on her via some strings or ropes. This picture was shot on a cell phone. 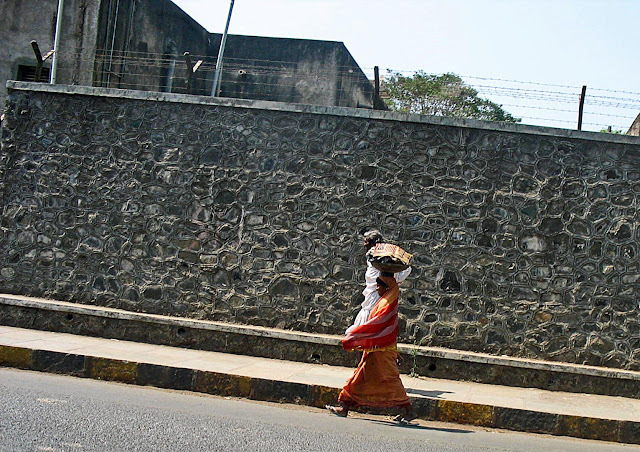 These are women construction workers carrying mud or stones to a construction site near the Mumbai-Pune highway. They are probably from a village who have come to Mumbai to eke out a living. This is a photograph taken in Pune in the Kothrud area. 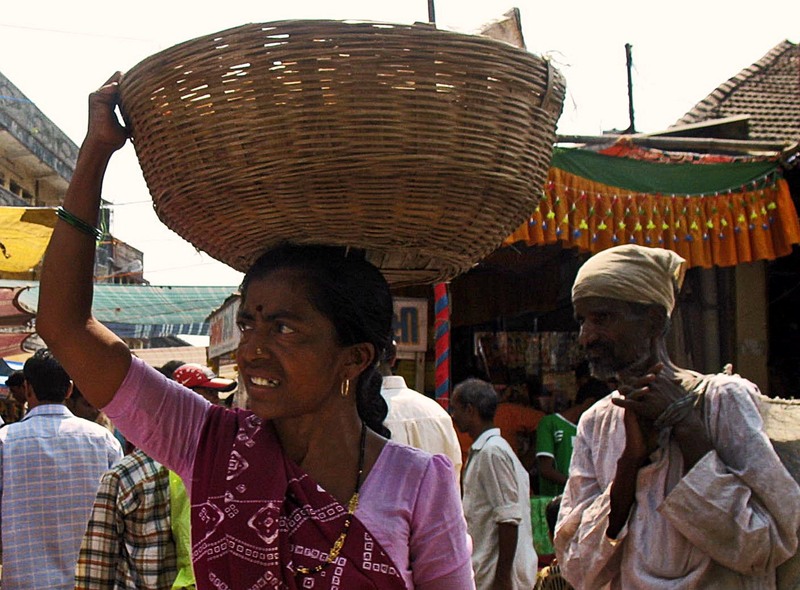 It is a woman with a small metal basket (which is often used to carry cement) on her head. I am not sure whether the man is with her or not. 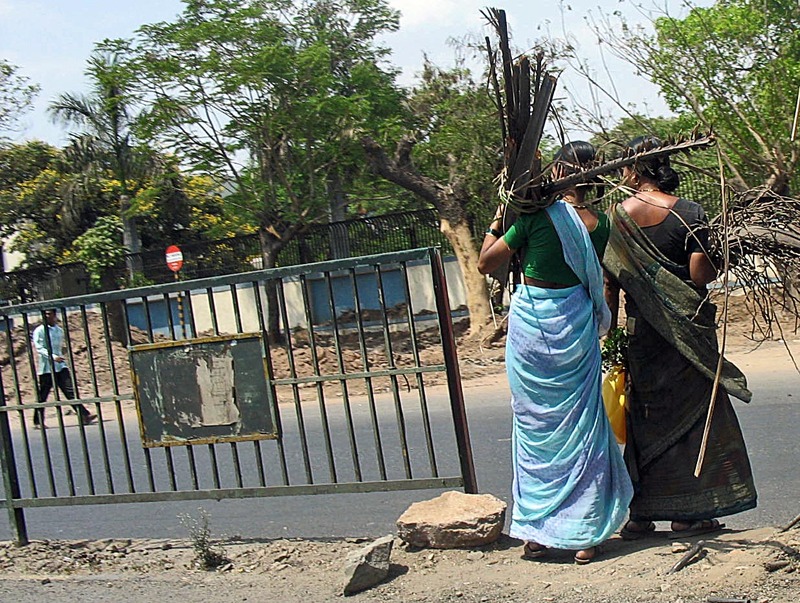 These are two women carrying branches of trees for firewood, on the Mumbai-Pune highway. 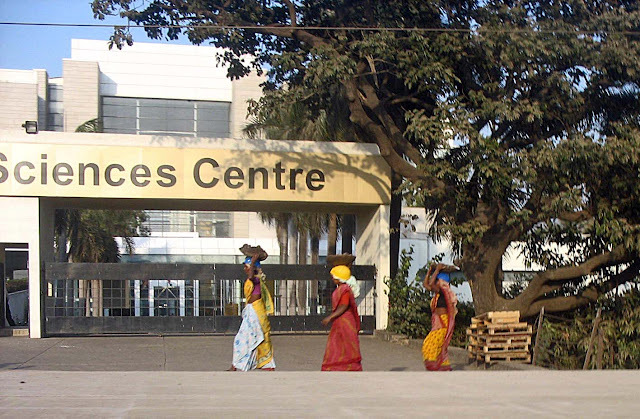 This photograph was shot in the small town of Vapi, in Gujarat, India.